Many consider Valentine's Day to be Christian holiday. After all, it is named after a Christian saint. But when we consider the matter more closely, the pagan connections to the date appear much stronger than the Christian ones. The Romans celebrated a holiday on February 14th to honor Juno Fructifier, Queen of the Roman gods and goddesses. In one ritual, women would submit their names to a common box and men would each draw one out. These two would be a couple for the duration of the festival (and at times for the entire following year). Both rituals were designed to promote fertility. On February 15, Romans celebrated Luperaclia, honoring Faunus, god of fertility. Men would go to a grotto dedicated to Lupercal, the wolf god, located at the foot of Palatine Hill and where Romans believed that the founders of Rome, Romulus and Remus, were suckled by a she-wolf. The men would sacrifice a goat, don its skin, and run around, hitting women with small whips in an act which was believed to promote fertility. According to one story, Roman emperor Claudius II imposed a ban on marriages because too many young men were dodging the draft by getting married (only single men had to enter the army). A Christian priest named Valentinus was caught performing secret marriages and sentenced to death. While awaiting execution, he was visited by young lovers with notes about how much better love is than war. Some think of these love letters as the first valentines. Valentinus's execution occurred on February 14th in the year 269 C.E. Another Valentinus was a priest jailed for helping Christians. During his stay, he fell in love with the jailer's daughter and sent her notes signed "from your Valentine." He was eventually beheaded and buried on the Via Flaminia. Pope Julius I reportedly built a basilica over his grave. In 469, Pope Gelasius declared February 14th a holy day in honor of Valentinus, instead of the pagan god Lupercus. He also adapted some of the pagan celebrations of love to reflect Christian beliefs. For example, as part of the Juno Februata ritual, instead of pulling girls names from boxes, both boys and girls chose the names of martyred saints from a box. It wasn't until the Renaissance of the 14th century that customs returned to celebrations of love and life rather than faith and death. People began to break free of some of the bonds imposed upon them by the Church and move towards a humanistic view of nature, society, and the individual. An increasing number of poets and authors connected the dawning of Spring with love, sexuality, and procreation. 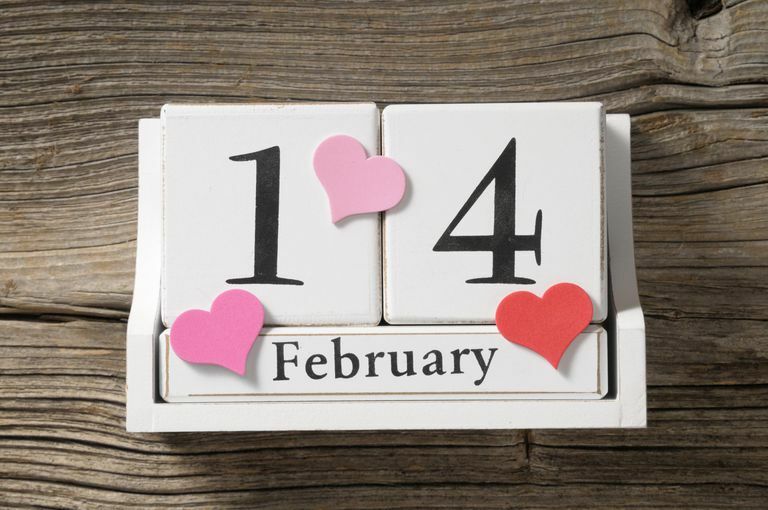 Valentine's Day is no longer part of the official liturgical calendar of any Christian church; it was dropped from the Catholic calendar in 1969. Its not a feast, a celebration, or a memorial of any martyrs. The return to more pagan-inspired celebrations of February 14th is not surprising, nor is the overall commercialization of the day, which is now part of a billion dollar industry. Millions of people all over the world celebrate Valentines Day in some fashion, but few do so as part of their faith.